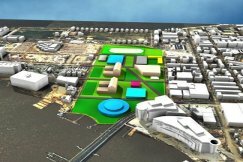 3D visualization models have a variety of applications in geography and urban studies: site location analysis, emergency facilities planning, design review, marketing, etc. 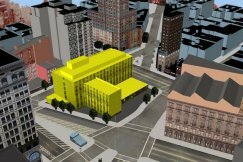 While they are generally used to simply visualize the built environment, there are early signs of them being used as 3D interfaces to more sophisticated simulation models. 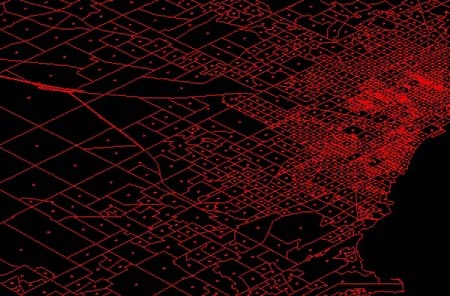 A pressing problem facing many urban simulations is their general inability to engage the vast majority of their users and the people whose lives they influence in a meaningful and intuitive fashion. In recent years, significant advances have been made in the development of intelligent 3D models of the built environment. 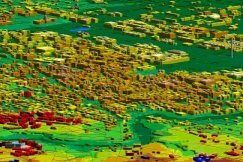 Technology exists today that enables us to render visually stunning and richly detailed simulations of urban environments in a manner that renders an ease of interaction and understanding that is not currently present in many simulation models. 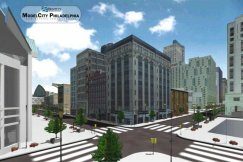 These 3D models can be used as a user-friendly interface for querying the urban environment as a geographic information system, for hyper-linking Web-based information, for visualizing model results, and for accessing functional simulation models. 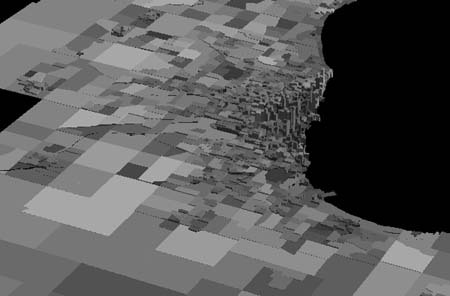 Furthermore, the addition of a third dimension to our knowledge base of urban systems greatly enriches the simulation capacity of predictive models. 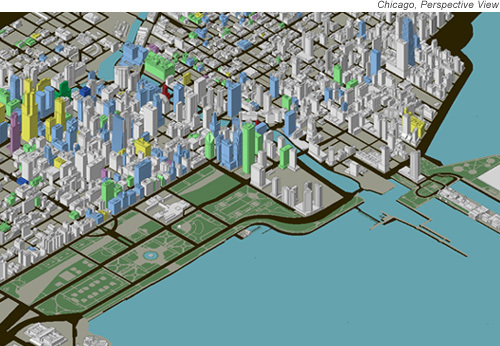 What follows are some examples of 3D visualization models of cities. 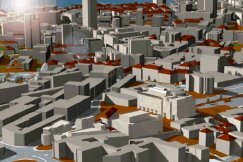 If you are interested in reading further about the use of 3D visualization techniques in geosimulation, urban planning, and urban management, please have a look at the working paper, 'Visualizing the city: communicating urban design to planners and decision-makers' online at http://www.casa.ucl.ac.uk/working_papers.htm. Some examples from each of these classifications are exhibited below. Details regarding each image can be displayed by resting your cursor over the particular image and resting it for a number of seconds. 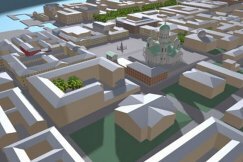 3D CAD models of cities are by far the most common example of 3D urban model, with several applications applied to many cities around the world. Generally, these models depict cities or scenes from the built environment in three dimensions with varying degrees of attention to detail and artistic rendering. The models can be developed using standard CAD software packages such as 3D Studio Max, or programming languages such as C++ and VRML (virtual reality modelling language). 3D CAD models are often delivered as animations, static screenshots, and navigable VRML environments. Usually, the models have no functionality beyond display (i.e., they are not linked to a spatially referenced database, nor capable of displaying the results of searches and queries performed on them). Models may be navigated by the user or may be static. The applications to which these models are put are diverse, ranging from advertizing and promotion to design review and public outreach. 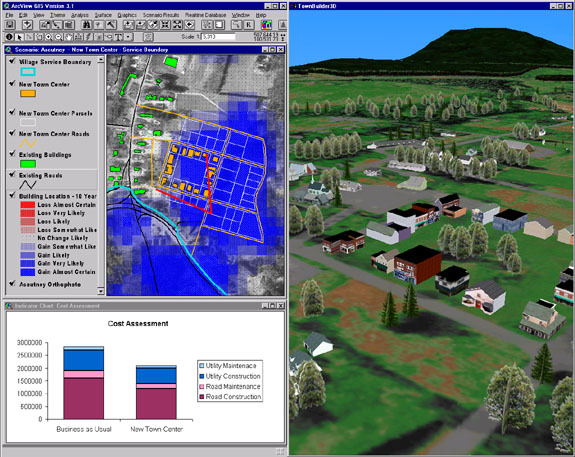 3D GIS models are identical, in many cases, to the CAD models discussed above. In many cases they are generated using the same software and delivered via the same media. The difference, however, lies in functionality. 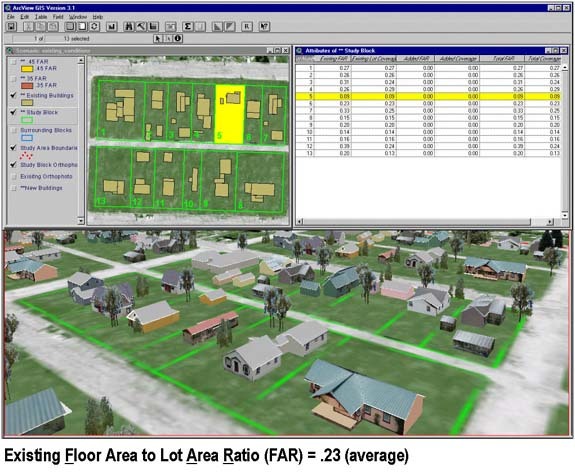 While the CAD model offered no functionality to the user save its display values, the incorporation of a geographic information system (GIS) underpinning a CAD display model enables users to perform sptial queries of the buildings and built space depicted in the model environment. 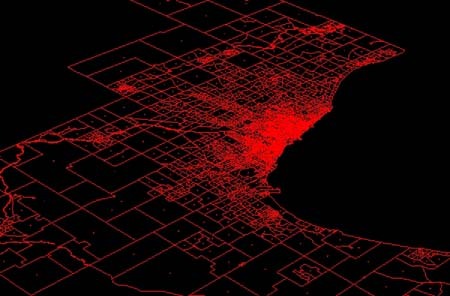 A GIS, essentially, acts as a spatial database with a graphical interface for performing queries, operations, and manipulations on data in a spatial plane. 3D GIS models introduce that functionality (if available data permits) to the CAD model. 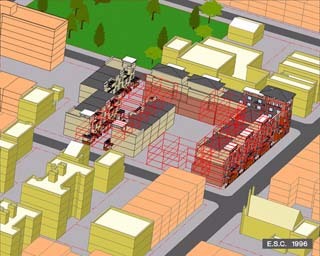 Users can query the built environment and have the results displayed visually and interactively in three dimensions on the screen. 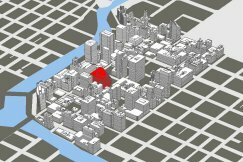 For example, a user might wish to find out where available office space fitting several price, situation, and structural characteristics lies within a downtown district of a major city. The models depicted in the pictures below all illustrate the visualization of queries on underlying spatial databases. The large majority of these models are static, however; users cannot navigate and query the modelled environment in real-time. 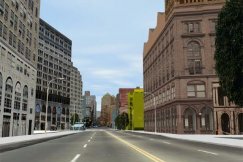 Recently I have been developing some 3D urban models for use in an online movie series. I will post some links to the "live" version once the final product has been produced and released. 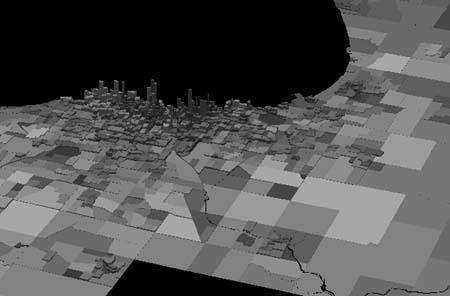 In the meantime, here are a few screenshots of models of Chicago. Also, check out my 4D immersive crowd models.